This Beginner’s Guide to Design Your Labels is full of insights and tips for small business owners, crafters, designers and anyone else looking to design, create and order the best clothing labels for their product line. Here you will find information from learning about the types of labels, selecting the right label for your product, all the details you need to consider when designing your label and placement and location of labels for common products. The challenges of creating your own brand start when choosing your “Brand” Name, Colors, Fonts and other design elements. You gotta make sure they match your business style and personality and at the same time it needs to be easy to remember and recognize. Remember, your logo will be used in an many different types of applications that not even you can foresee at this point. The business of fashion is a business of design. As important as it is for your clothing products to look good and make a statement, it’s as important for your company’s logo to do the same. How can you create a quality brand name and logo for your fashion business? Try to look at your designs and sum them up in a single word. Use that word as either your brand name or as a template for your logo’s look (for example, if your clothes can be described as ‘edgy,’ use fonts and logo designs that have harder edges and angles). Make sure the logo’s design is clean and clearly legible for customers to read and recognize as well. Following these simple parameters can help you develop a quality logo for your business. For more on fashion business logo development, click here:: 5 Steps for Creating An Impactful Logo. Think about it, your logo could be used in anything from a large banner (for a Trunk Show or Craft Fair Booth) to a tiny stamp or pin, or pen, or button or…you get the point. 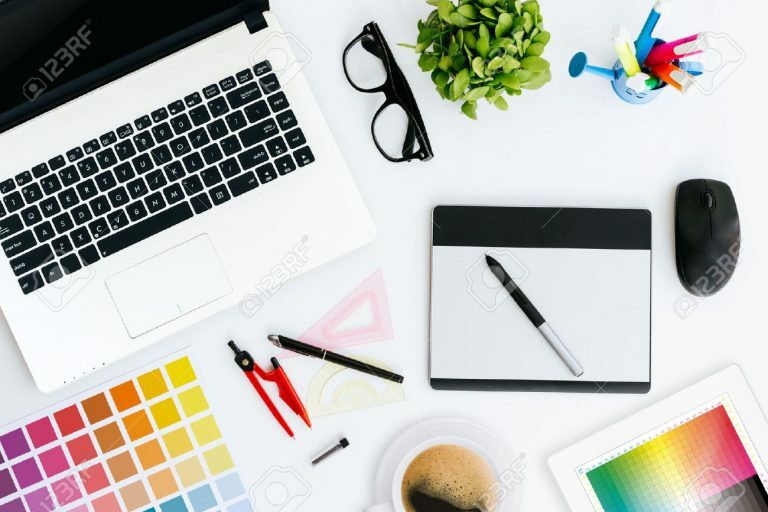 A professional graphic designer knows all of this and she will be proactive and suggest you to create different versions of said logo that will work for those said applications and its manufacturing process: from the common press printer, to engraving, die-struck, embroidered, PVC molded and woven techniques. The things to look for are size and color of elements. ie. Your website looks great on your large Vinyl Banner but, will you be able to read it in a neck label? or in a hang tag? 2) it has so many colors that there is an increase fee every time you try to get it made. Here are the most common processes and their color standard / limitation. Engraved: No color here. Are you sure you are ready for what your logo will look without color. Die-struck: Color or no color, Products are usually small and the amount of detail that it can be struck is limited. 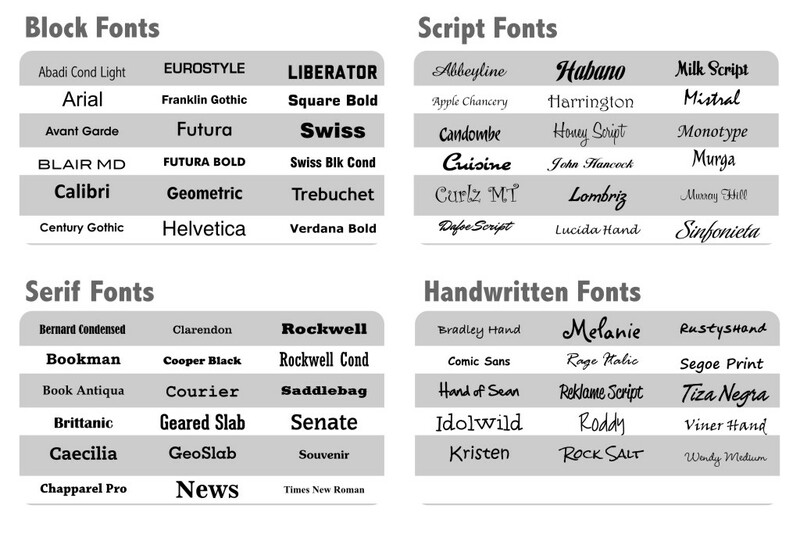 Choosing the right font style is key to making an identity for your brand. The right font style causes instant recognition. Small Businesses are a dime a dozen and you want your logo to stand out against the competition. 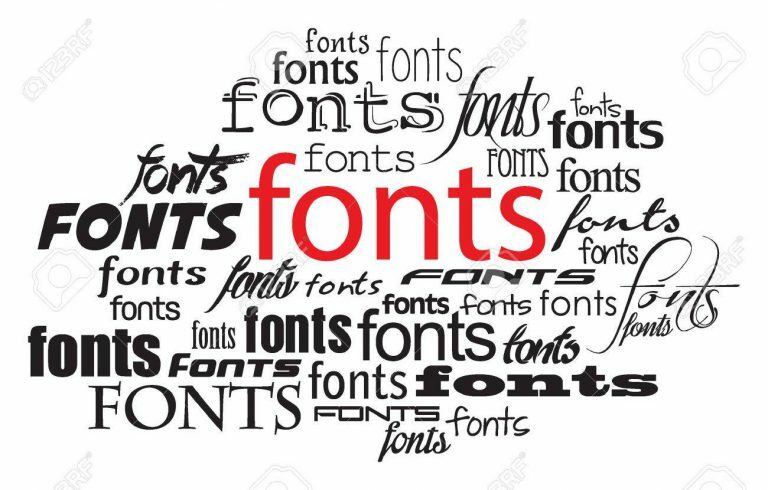 The wrong font style chosen can be confusing and even unrecognizable to other brands. This is a sample of fonts that have successfully been used by our customers for their woven labels, and have worked great. Choosing the right label size is crucial when your design your labels, and it goes hand in hand with where you intend to put it on your product. Our labels are a 100% custom made to your needs but do have common size recommendations advise. The minimum text font size is minimum 8pt. For a Logo or Graphic the lines cannot be smaller than 1pt thickness or they will not be possible in production machine. Don’t forget to consider how much sewing allowance you will need to include on all sides or just 2 sides to attach the labels in products. The most common sewing allowance is 1/8″, with 1/4″ and 1/16″ following closely. Rarely we see 1/2″ or 1″ but they do occurred once in a while. While not all labels have folds, woven and printed labels can and a fold can be added to your label at no extra cost. (Also called no-fold) labels are perfect if you are will sew the label all around, or on the sides. Used mostly in neck labels, iron-on applications, handbags and accessories. 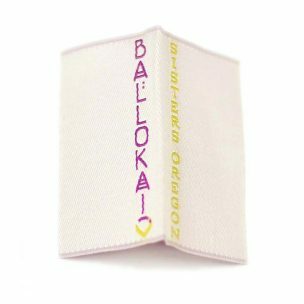 End-fold labels are your best choice if you are sewing the label on the sides. Flapping as a tab, either on the inside or the outside of your product. Logo labels attached to the neck of shirts: neck labels, care labels, hem tags and side labels. Miter fold is used mostly in neck labels, forms a sort of hook, which allows you to hang the product. Read our article about Miter Fold Labels: How to determine the total length? The right type of fold for your application will depend on the localization of the label, the type of product and personal preferences. There are many ways to attached a label to fabric. Depending on the label placement, you could need the sewing allowance to be on top, top and bottom, on the sides or all around. It is actually a very simple concept, and there is not a one-size-fits-all answer, but simple guidelines. What is a Sewing Allowance? Sewing allowance is the distance between the edge of a label and the stitching used to attach the label to another piece of fabric. Do I Really Need To Have One? If you will be sewing your labels to your products, you WILLneed a sewing allowance, after all yo do not want stitching on top of your design! 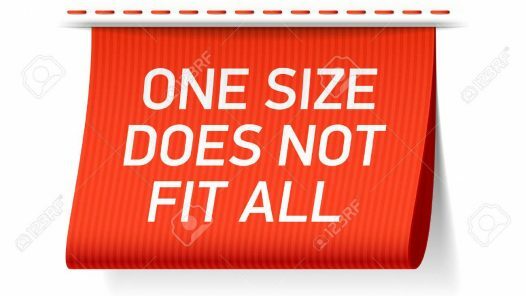 If on the other hand, you are ordering iron-on clothing labels, then you DO NOT need to have one. However, a little extra “white space” around your label design will help it stand out. What are The Most Typical Sewing Allowances? 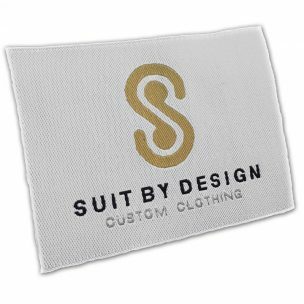 In the “custom clothing label world”, the most common sewing allowance is 1/8″, with 1/4″ and 1/16″ following closely. Rarely we see 1/2″ or 1″ but they do occurred once in a while . How much sewing allowance do I need? It is hard to say. The minimum distance you will need to attach your labels or tags will depend on your sewing skills, the position of the label in the product or just your preference. Most of our customers use between ⅛” and ¼”. What is the difference in Sewing Allowance All Around vs. Two Sides? The decision is yours whether you want your label to be sewn down flat on all four sides of your label or only on two sides. Two sided sewing allowance is used if you want your label to be loosely stitched, be centered folded into a seam or added end folds to allow depth to your label. Color evokes positive associations and an initial opinion of your brand. With a thread chart of over 200+ colors to choose from the decision can become overwhelming. To help us help you achieve the right color scheme we have posted our thread chart here to review colors and shades. Keep in mind, colors can be subjective due to pixilation differences from computer to computer but lets you play in active role in guiding us into your design vision. We are familiar with RGB, CMYK or PMS color charts to match our thread chart up to if you only have those colors to go by in art files. We will match as close as we can but cannot guarantee 100% match all the time. 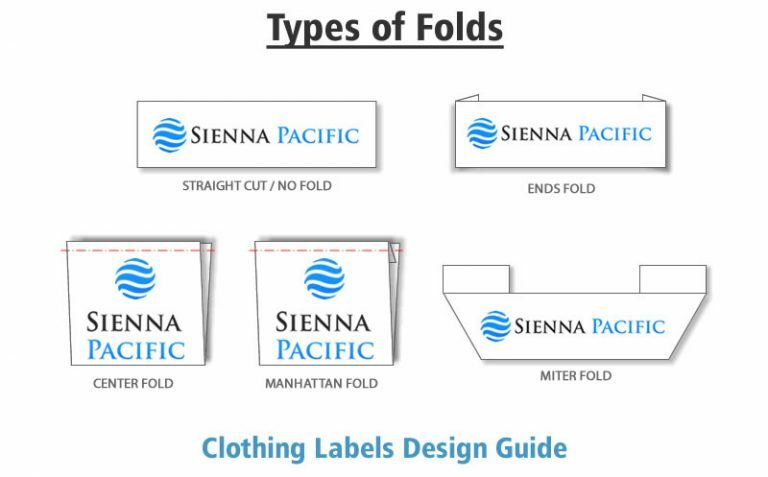 After reading all about the different options for your apparel labels, you might feel a little overwhelmed about all the decisions you will need to make. But don’t despair! All of these combinations have been massively used by thousands of customers and there is no need to reinvent the wheel. Around 50% of the labels we make are made in a combination of Black & White. Mostly Black Labels with a White Design. 62% of the labels are made with no folds, 23% of them are center fold and 5% are ends-folded. The most common size is 2″x1″ for a no-folds label, 1″x2.5″ for a center-fold label and 2.5″x0.625 for a ends-fold label. Most of our customers use a combination of easy-to-read serif and non-serif fonts for most of their text, and only use Cursive fonts for short bold text. The best label designs include a simple bold logo, highly contrasting colors, such as black and white, and website address one the back (center-fold) for logos that don’t include the name of the brand. 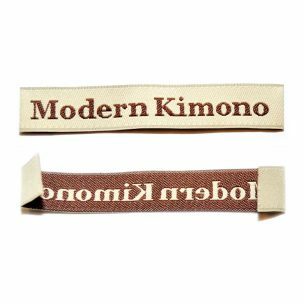 One of the main characteristics of the woven labels is that they are built from threads, which are woven together to form the label. Depending on the type of woven method used, the colors of these threads will shift the other ones, ie. making a white not a pure white but a “tinted” white, where the color of this tint is the color of the secondary color used in the woven process. Like in the picture on the left, where the purple shifts the color of the light blue, making it a darker more muted blue. Click on the picture to see a larger picture. Sometimes this is can be used to your advantage, but sometimes, in the case of a black and white label, the white might look a little “dirty” or grayish, because of the black. We always create a proof/artwork for you to review and approve. We send the approved artwork to production for a sample to be sewn out. The picture will show you what your label will look like. After you approve the sample we charge your card 50%. We need approximately 10 working days to complete the order. When the order ships You will be charged the remaining balance and email you an invoice with the Fedex tracking# on it. Woven Ribbon Tape: How to determine the minimum total length? What about Custom Labels for Blankets? How Large Can My Custom Woven Labels Be? Woven vs Printed Labels: Which One is Right for Your Product?